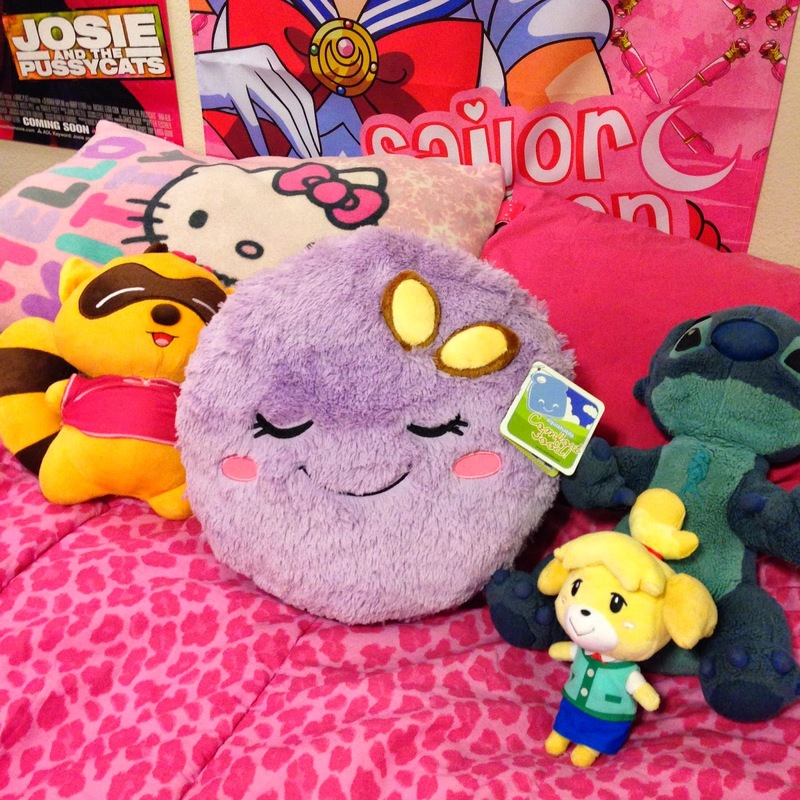 I ordered the purple macaron pillow from Squishables! It's a lot bigger than I expected and is great for lounging around while reading or watching TV. 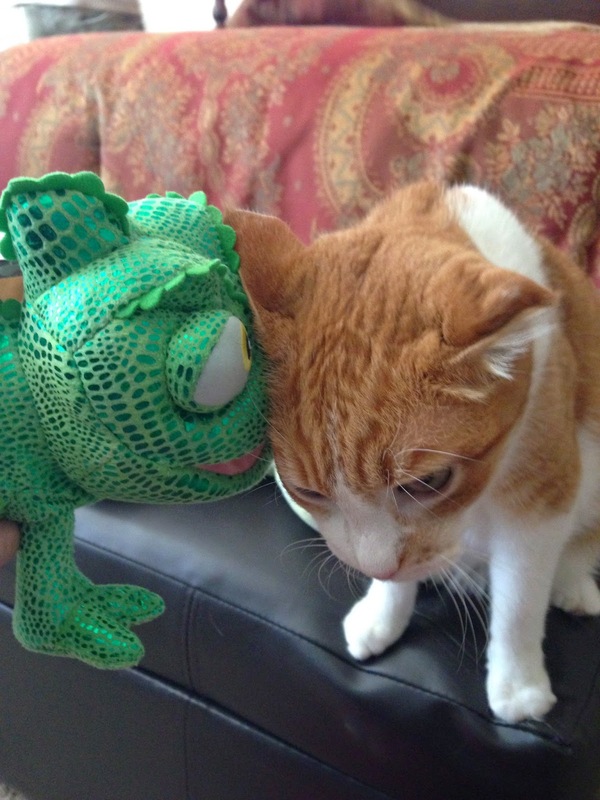 Pixie had a snuggle session with Pascal. They're best of buds, aww! 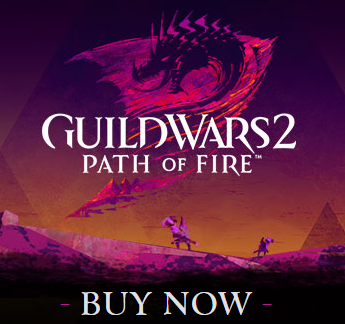 I play Guild Wars 2 on and off again and laughed when I met this cute froggie the other day. 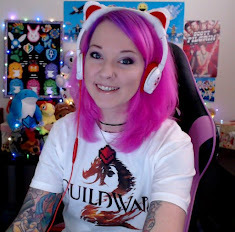 A couple weeks ago I dyed my hair all over purple. There's some pics on my Instagram (@glitzygeekgirl), but I thought it looked a little too dark. 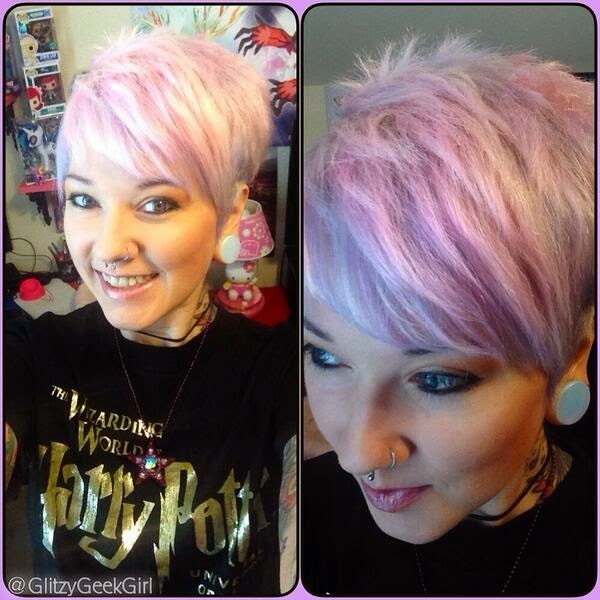 So I bleached it out and went with a pastel pink/purple! I added some more tone to it since this pic, too, and like it a lot! 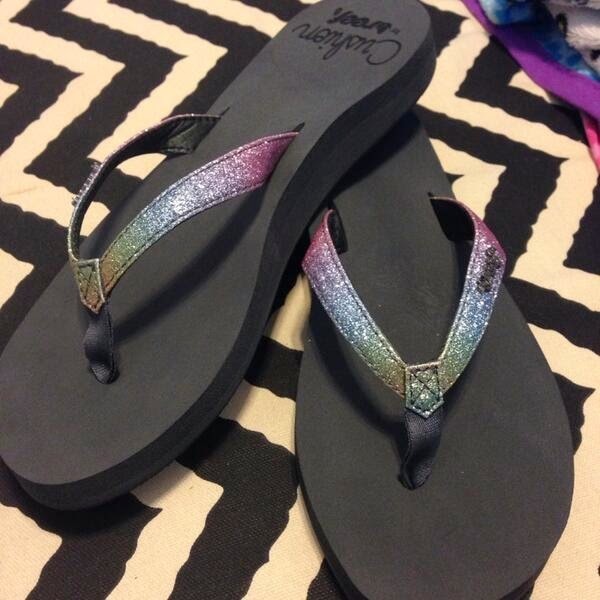 Aren't these rainbow sandals totes adorbz?! (lol) I got them at DSW, and the brand is Reef. Reef makes the comfiest sandals in the world. 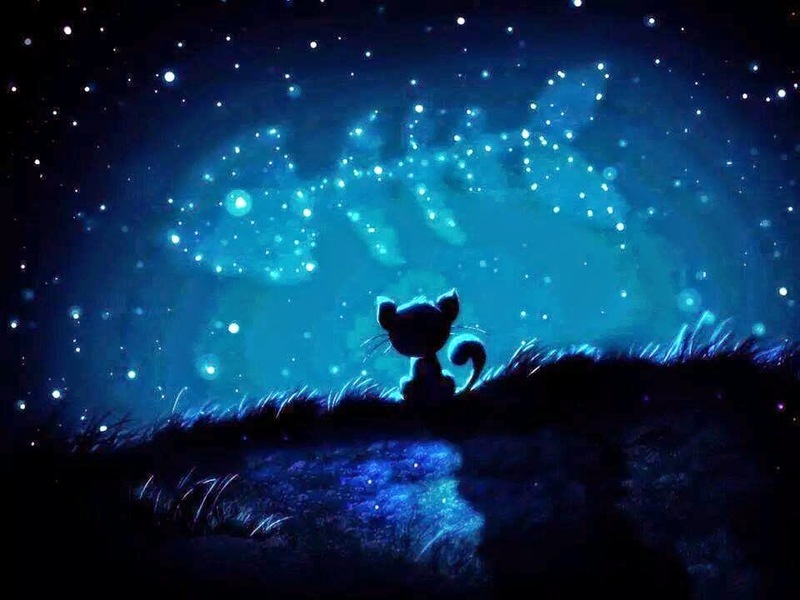 I couldn't find a source, but I loved this kitty wishing on stars. Just for today a slice of red velvet cake from Nothing Bundt Cakes. Pure happiness. That frog is awesome! Thanks for making me happy! Aww Pixie and Pascal, too cute. I am loving your hair all short and spiky. It looks so cute! 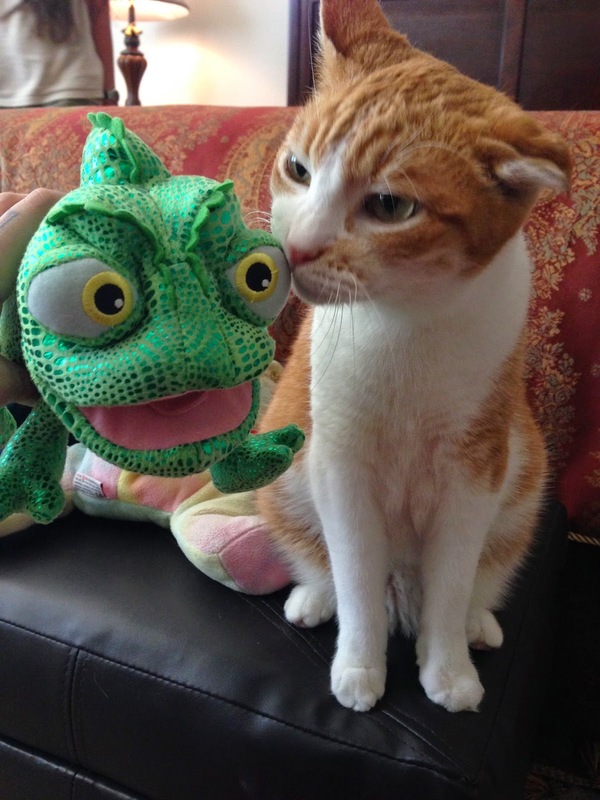 :) The photos of Pascal and Pixie made me smile too. Your hair is always so awesome! Reef's are the best! Rainbows are amazing sandals, but, Reef is the more economic version and sooooo stinking comfy!